area of 3.084 hectares of Hale Marsh, on the north bank of the River Mersey. The reserve is about two miles west of Widnes Town Centre and lies opposite the Frodsham /Runcorn areas of North Cheshire. 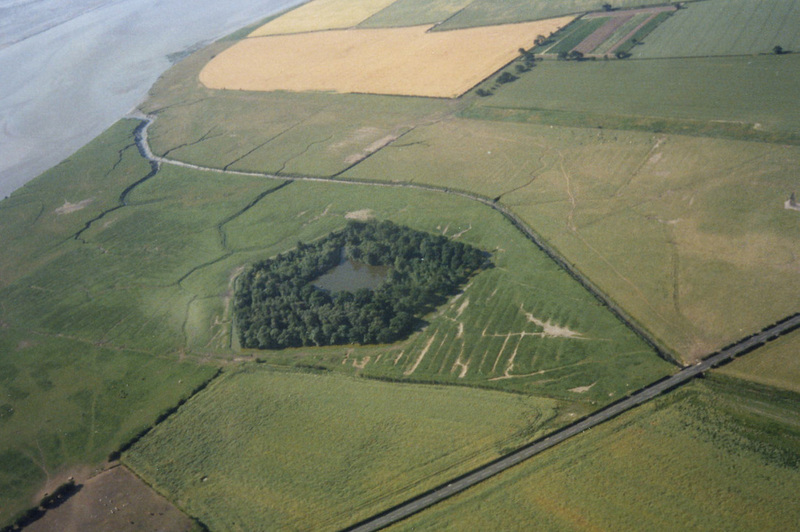 The reserve is in the shape of an irregular pentagon, surrounded by a 16 foot wide moat and a continuous clay bank. The centre of the reserve is occupied by the Decoy pond, which has five arms radiating outwards to each corner of the pentagon. Between the arms (which are known as pipes) are five small areas of woodland. The Decoy is a Scheduled Ancient Monument and the woodland is subject to a Tree Preservation Order. The reserve is also in the area of the Mersey Estuary designated as a Site of Special Scientific Interest. Hale Marsh at High Tide. A Flock of Dunlins are Flying up the Marsh. Hale Duck Decoy can only be accessed across private land and, owing to its dangerous nature, visits to the decoy are only available by guided visits led by the wardens. 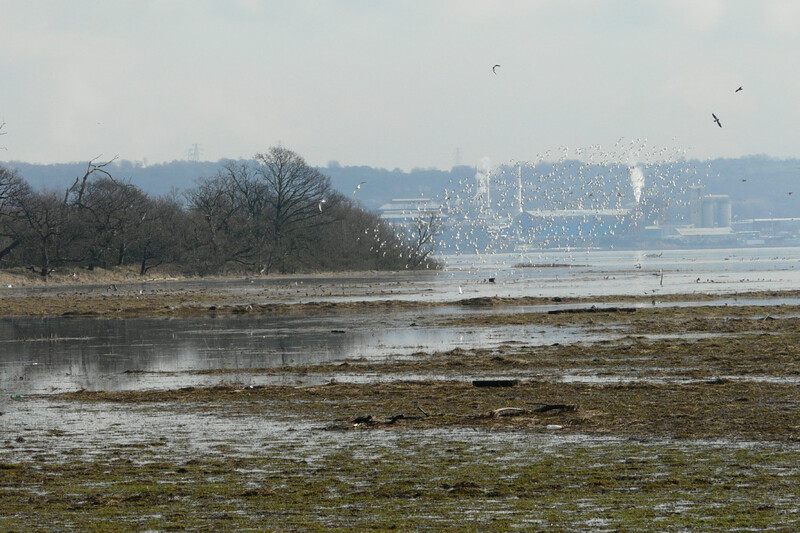 The area of saltmarsh surrounding the decoy has been designated as a SSSI by Natural England. This designation is for its marsh flora and for the large numbers of waders and wildfowl which use the marsh to feed and roost. 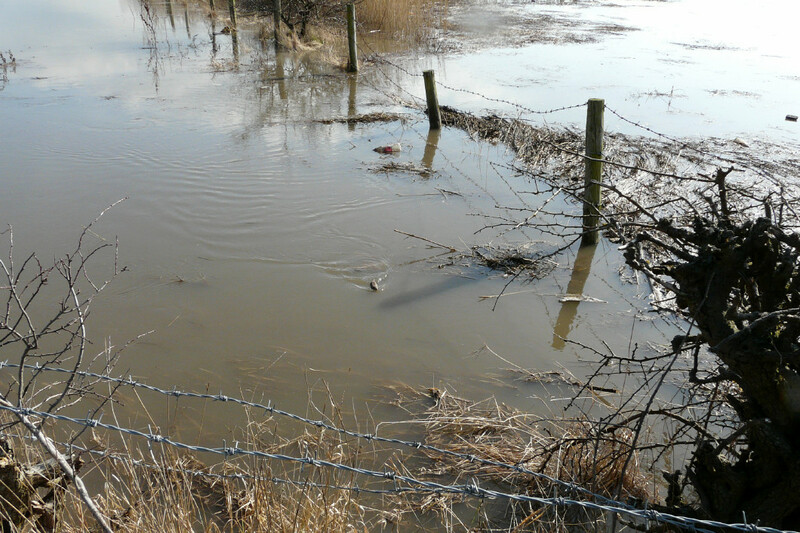 The Footpath to Hale Duck Decoy at High Tide! A short-tailed vole is swimming in the flood. We have experienced flooding on site, for the last few years but this is under control at the moment. We are now able to offer guided walks to this very special Ancient Monument site. If you wish to visit the decoy please make contact via the website. Walks are only available from July to February and numbers are limited. Please note that we do prefer a donation from individuals, or groups, to help towards the upkeep of the site. For purposes of Health and Safety we ask that each person provides contact details in case of an emergency.